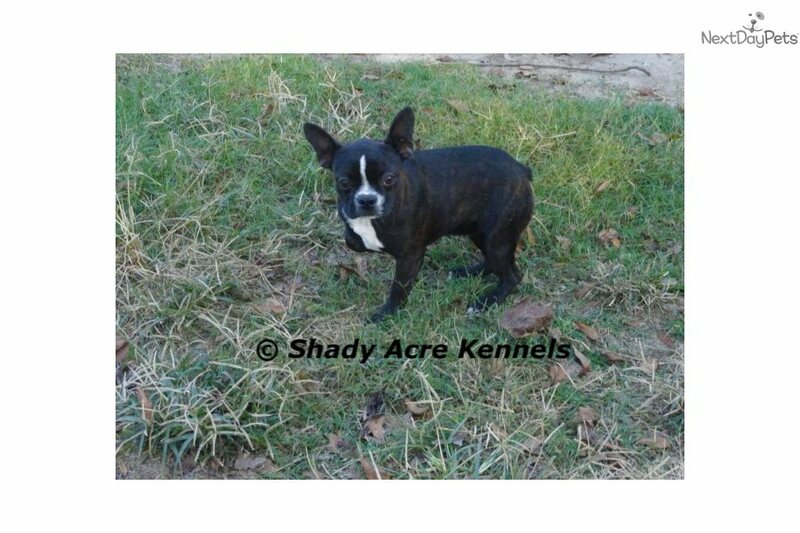 This Boston Terrier nicknamed Elvira sold and went to a new family. We would love to hear from you! You can email us, or call/text 229-425-1552. 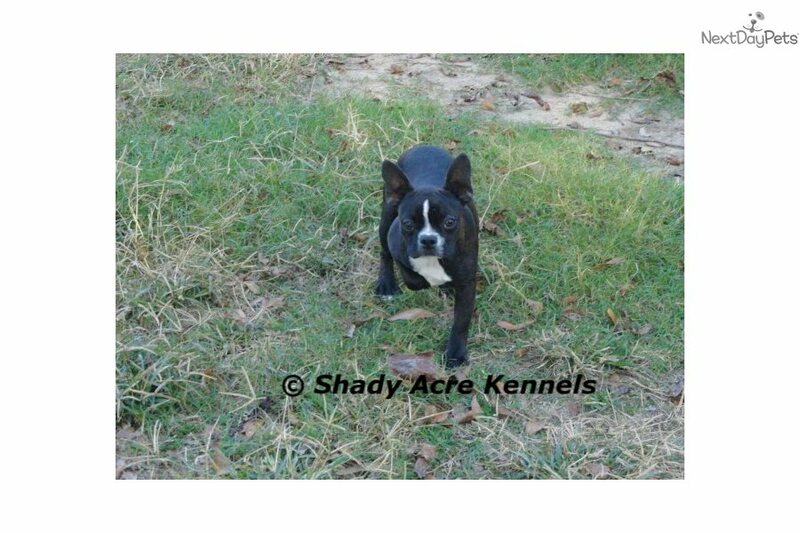 Pup is CKC registered/AKC registerable. 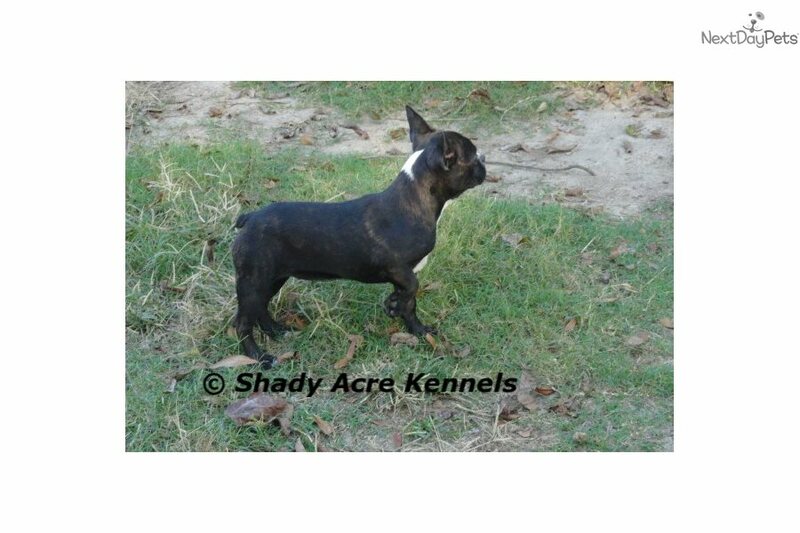 Visit www.shadyacrekennels.com. Dew claws have been removed. A $200 non-refundable deposit is required to place a pup on hold. (Deposit goes toward the purchase price). Picture updates will be provided every 2 weeks, until 8 weeks of age. We accept (Credit Cards & Paypal, please include 4% for processing fees). We also accept Western Union & Walmart MoneyGram. WE DO NOT ACCEPT CHECKS OR MONEY ORDERS OF ANY KIND. You are welcome to pick up your pup here (Abbeville, GA) "OR" We do offer to meet you part way, or to deliver the pup to you. 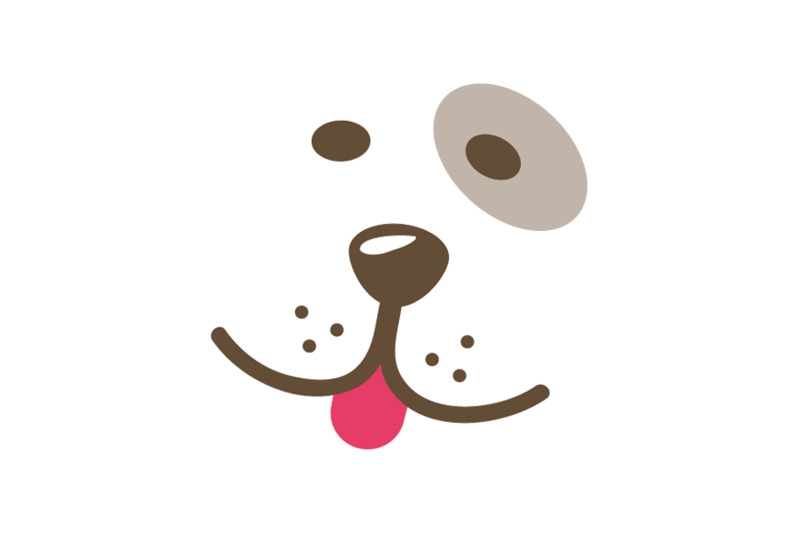 We also offer to meet at the ATL airport if you would like to fly in, get your pup, and fly out. (Small fee applies if we meet or deliver). (We do delivery scheduling case by case, so please contact us for more information). We no longer ship pups on planes by themselves.